A crisp and cold Saturday of football in October brought rain and 30-mile-per-hour gusts as the Edinboro Fighting Scots had a unique challenge ahead of them. Coming into Slippery Rock on their homecoming weekend, they were able to pull out a victory on an untimed down to win the game 37-35. “We just believed it. You know, we trust the system. Coach just said keep believing,” senior defensive end Vic Hudson said. The Rock drew first blood on a 27-yard field goal from kicker Jake Chapla, later adding to that with seven more on a 14-yard pass from quarterback Don King III to wide receiver Cornelius Raye. 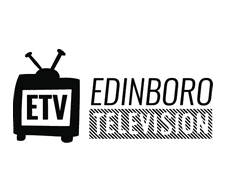 Answering at the 2:58 mark with an Austin Reese 43-yard field goal into the wind, Edinboro would finally get on the board. At the onset of the second quarter, Edinboro quarterback Jake Sisson found Jordan Williams on a 9-yard pass, tying the game at 10 with 12:51 left in the second. Rock would break the tie as they called upon their kicker again, who was good from the 40-yard mark. On the ensuing kickoff, Ta’Nauz Gregory would return the ball 85 yards to the house, helping earn himself “Special Teams Player of The Week” for the PSAC West. 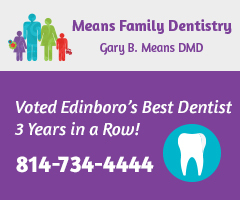 Ending the second half with a score of 24-13, Edinboro’s Sisson would find Williams again. Opening the second half, Sisson added another passing touchdown as Gregory caught a 5-yard pass, pushing the score to 31-13. Following an injury to multiple players, Slippery Rock’s third-string freshman quarterback Augustus Necastro would step up, connecting with Drew Scales on a 9-yard pass. This would be the catalyst for Slippery Rock’s comeback as Isiah Neely and Necastro led the way. Punching it in from 5 yards out to open the fourth quarter, Neely would find the end zone. Then, with little time left to work with, Necastro would hit Marcus Johnson from 8 yards out to put The Rock ahead, 35-31, with 57 seconds remaining. 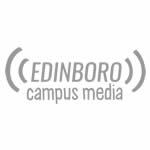 Edinboro would not be deterred as Sisson rallied the offense and drove down the field. Thanks to a defensive pass interference, Edinboro would get one final shot at the end zone in untimed territory. Finding James Clark, Sisson would make his final stamp on the game, leading the Scots out of Slippery Rock, 37-35. “We run that play 80 times during the week, so it was all about execution and good play calling by the coaches,” sophomore wide receiver Clark said. Both teams’ failure to secure the ball was the story. Nine fumbles from The Rock and five interceptions from Sisson made for a sloppy affair on the type of day that called for it. The wind put whichever team was facing it at a severe disadvantage, as it wreaked havoc on passers and kickers alike, most notably on a field goal by Chapla, who almost saw his ball stopped in its tracks in the first half. The Edinboro defense proved effective once again as they got three sacks on the day, 2.5 of them coming from Josh Kibbie and 1.5 by Derrek Dorr. Leading Edinboro in total tackles, Devon Groves knotched 18 total, plus an interception. Sisson went 28 of 62 on the day with four touchdowns, only going down to the turf two times. Breaking Trevor Harris’s record for most touchdowns in a single season, Sisson made his mark on the Edinboro record books. Harris’s previous record was 30. Sisson’s final touchdown pass moved him to 34 touchdowns on the season with three games still left to go. “We always work and we never get down; we always get the job done,” said freshman linebacker Vince Hudson. 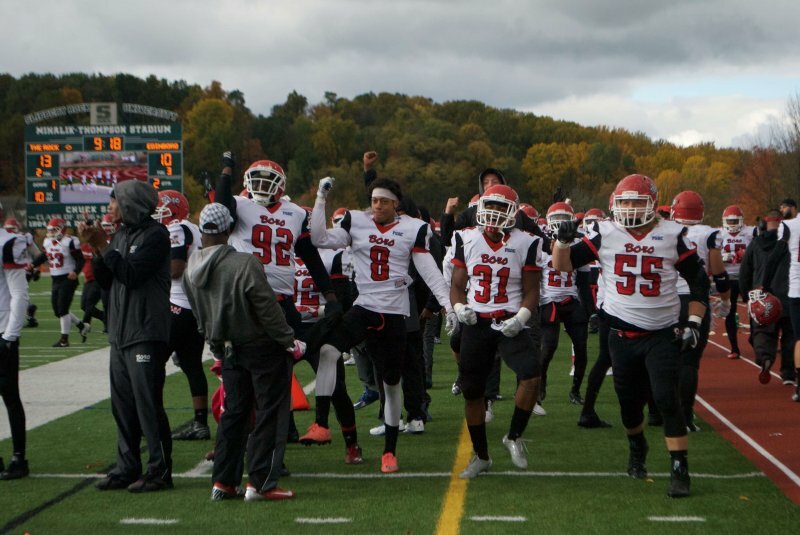 Edinboro will face Seton Hill at Sox Harrison Stadium this Saturday and kickoff is set for 3 p.m.